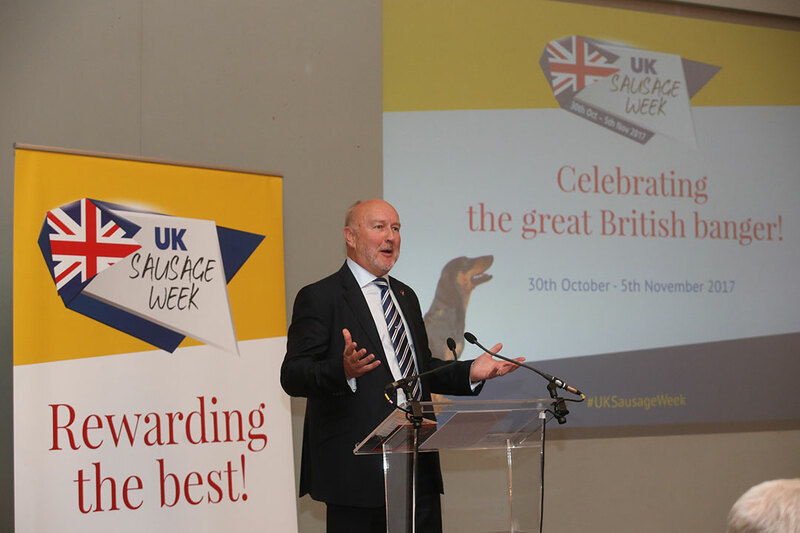 Meat Management publisher Graham Yandell welcomes guests. 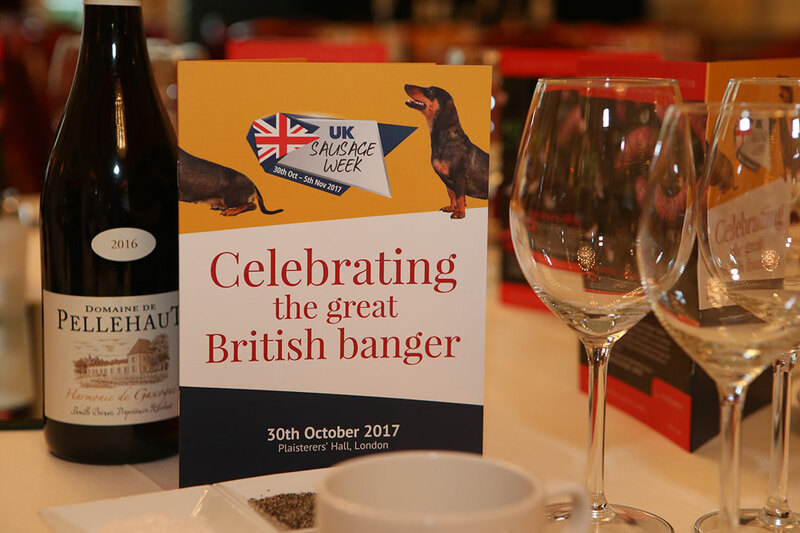 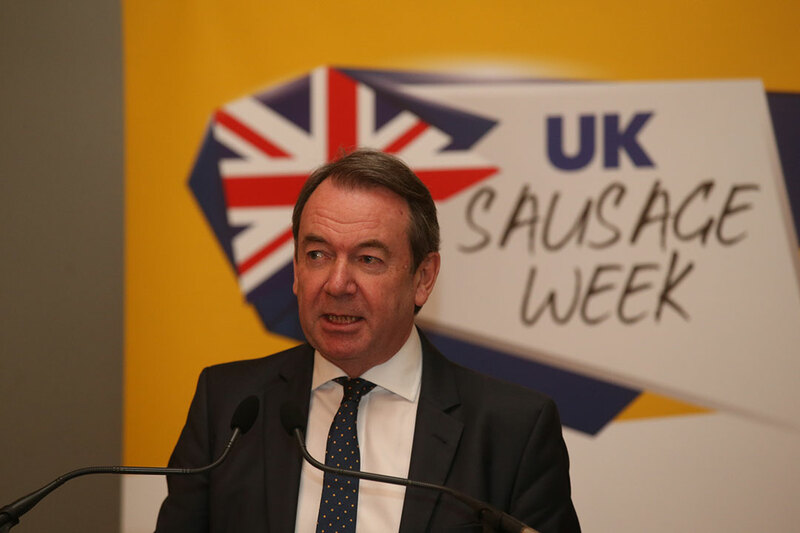 UK Sausage Week's celebrity ambassador Eric Knowles. 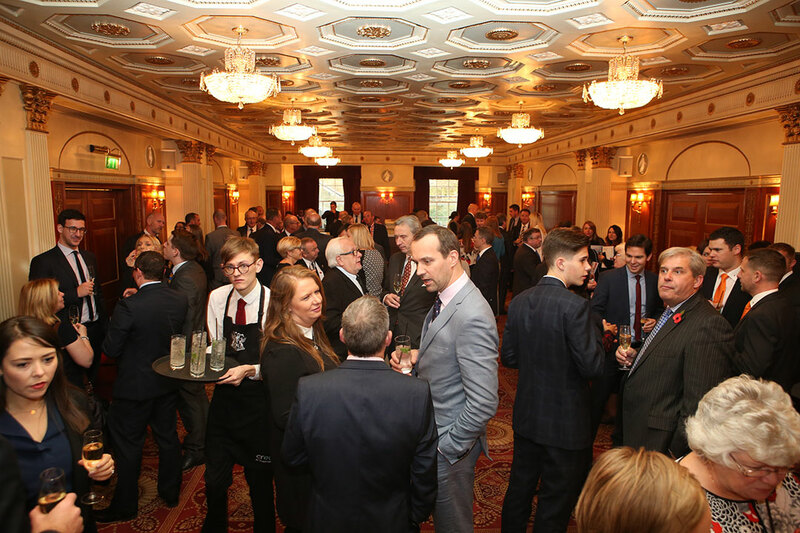 Guests enjoying a convivial lunch. 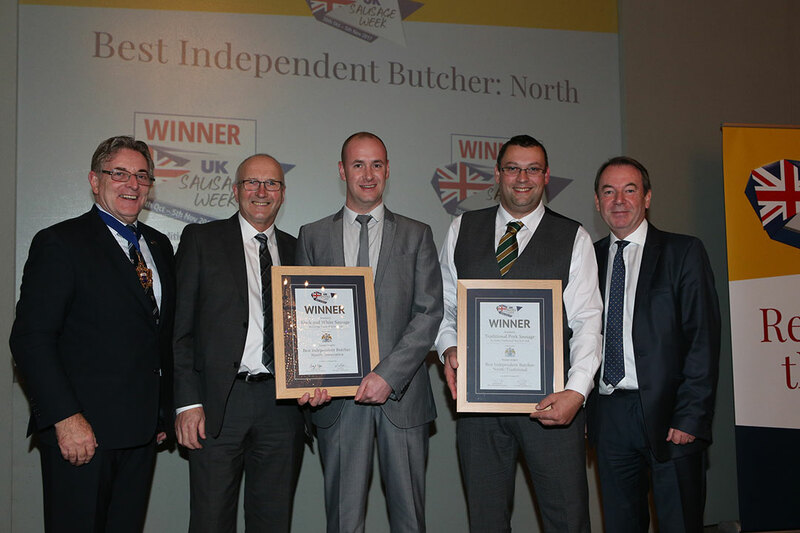 L-R: Award partner Master of The Worshipful Company of Butchers Geoff Gillo, Innovative winners George Payne and Alex Daley, Traditional winner Mark Duckworth and presenter Eric Knowles. 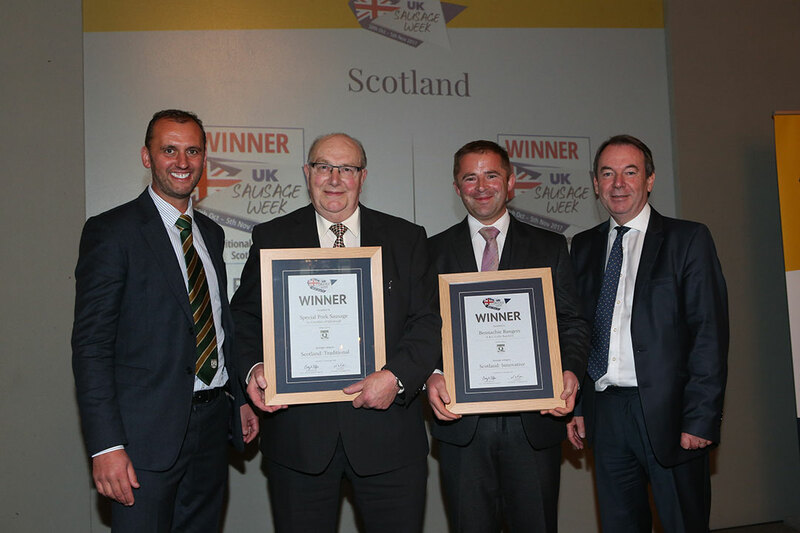 L-R: Award partner David Lindars of BMPA, Innovative winner Morris Adamson, Traditional winner Gordon Atkinson and presenter Eric Knowles. 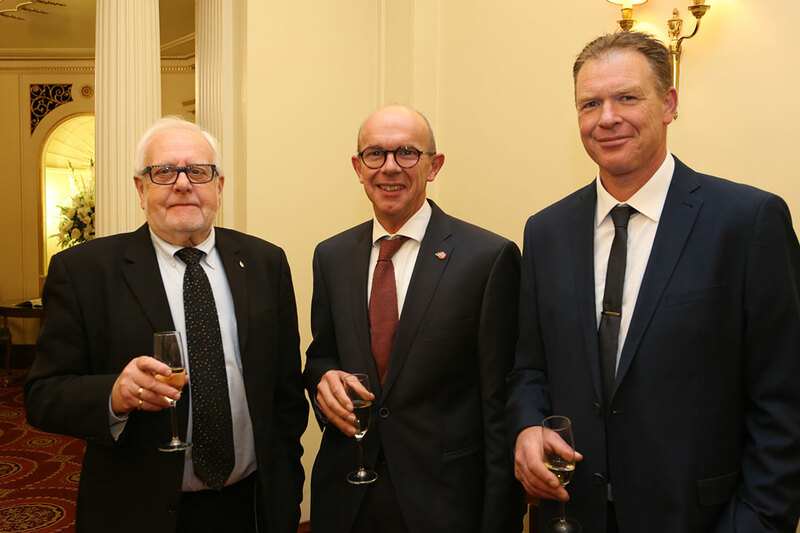 L-R: Award partner Harald Bosse of Bosse Interspice, Innovative winners Ton Cox and Charles Clewlow, Traditional winner John Mettrick and presenter Eric Knowles. 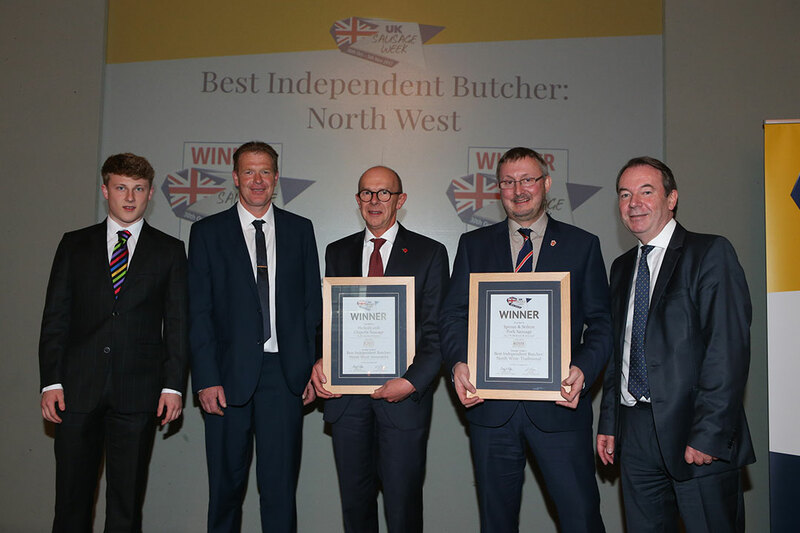 L-R: Award partner James Smith of Kalsec, Traditional winners Richard Taylor and Robert Taylor, Innovative winners Liam Kidd and Glen Howsam, and presenter Eric Knowles. 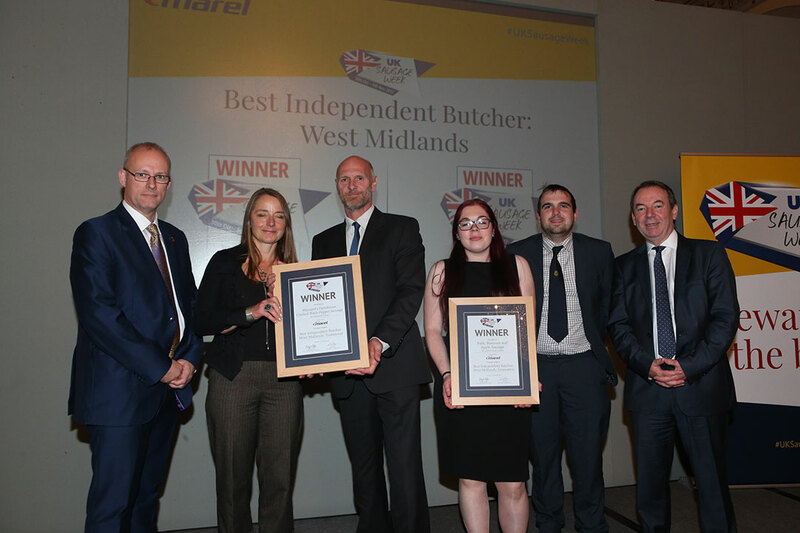 L-R: Award partner Stuart Turner of Marel, Traditional winners Fiona Cunningham and Rob Cunningham, Innovative winners Jess Pugh and Andrew Brassington, and presenter Eric Knowles. 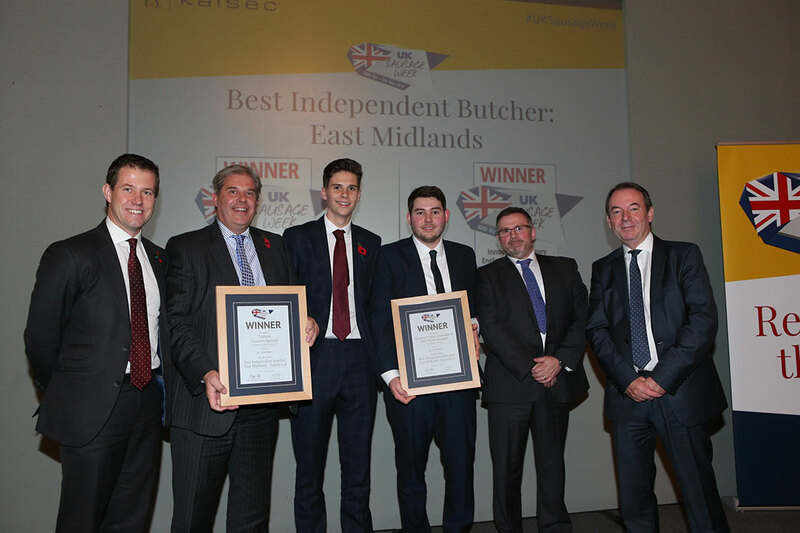 L-R: Award partner Anthony Daniels of Handtmann, Traditional winner Rob Owton, Innovative winner Andrew Rook and presenter Eric Knowles. 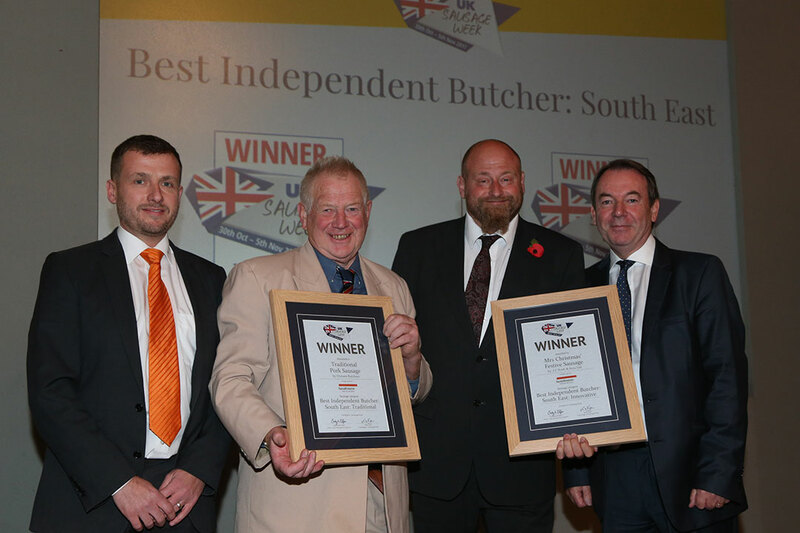 L-R: Award partner Roger Kelsey of the National Federation of Meat & Food Traders, Chris Potter, James Kittow and presenter Eric Knowles. 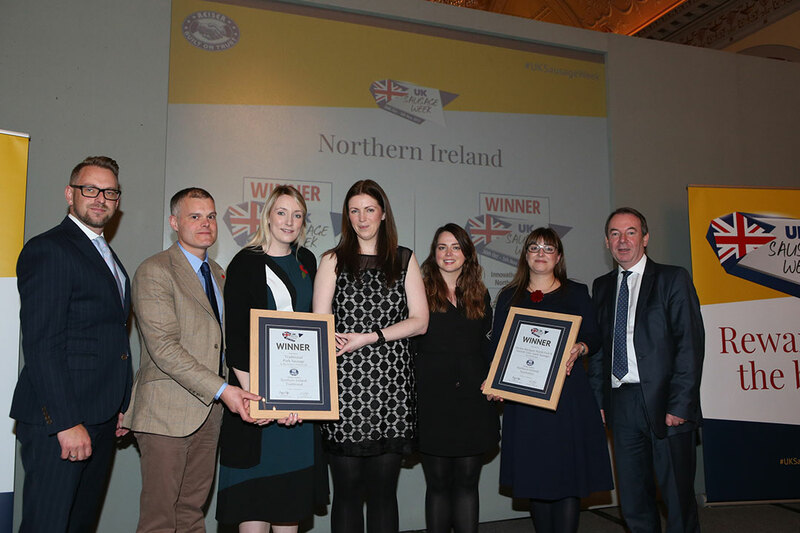 L-R: Award partner Richard Watson of Reiser, Traditional winners William Butler, Sarah Price and Judith Millar, Innovative winners Sarah Savage and Elizabeth Vint, and presenter Eric Knowles. 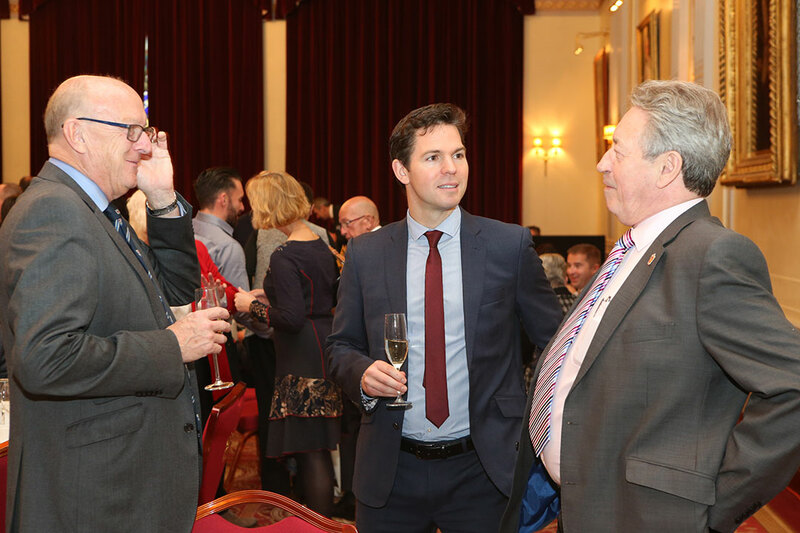 L-R: Award partner Mark Turnbull of the Q Guild, Traditional winner Sandy Crombie, Innovative winner Steven Robertson and presenter Eric Knowles. 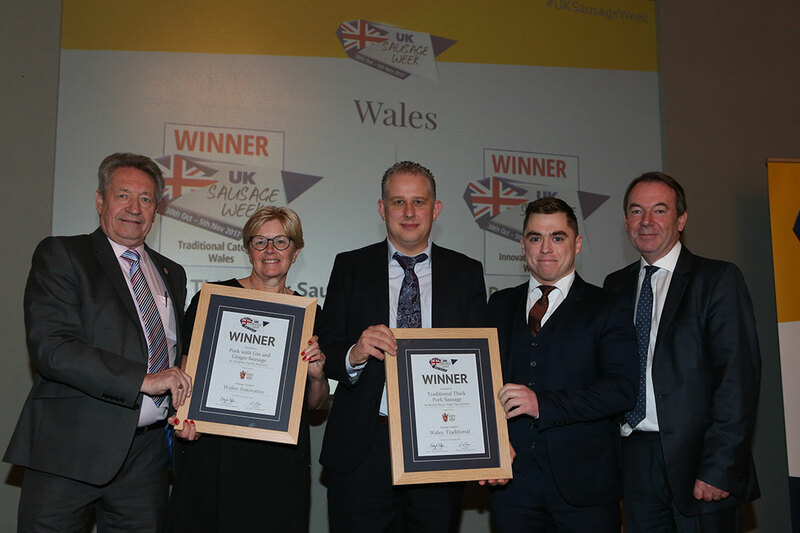 L-R: Award partner Keith Fisher of the Institute of Meat, Innovative winner Helen Vaughan, Traditional winners Martin Player and Ieuan Pincott and presenter Eric Knowles. 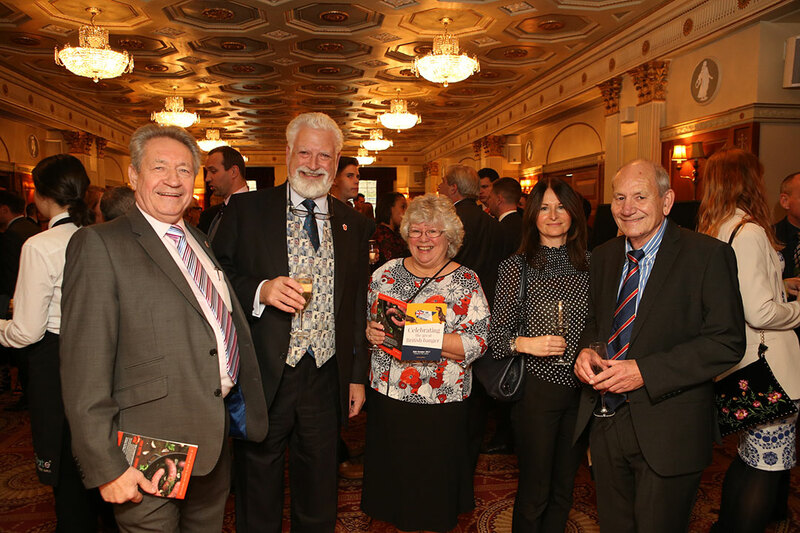 L-R: Award partner Stephen Jameson of Kerry, Innovative winners Helen Squires and John Pilcher, Traditional winners Kristina Jonusaite and George Randall, and presenter Eric Knowles. 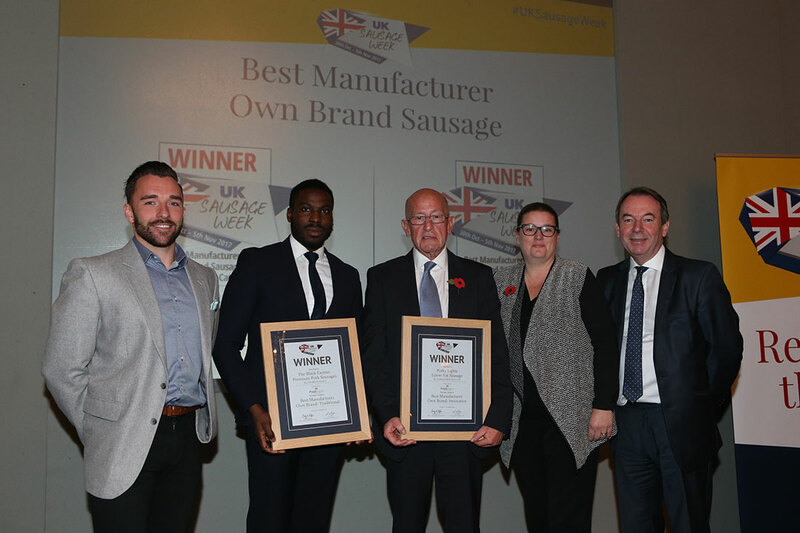 L-R: Award partner Dave Oakes of Foodmaker, Traditional winner Segun Akinwoleola, Innovative winners Graham White and Carla Quirk and presenter Eric Knowles. 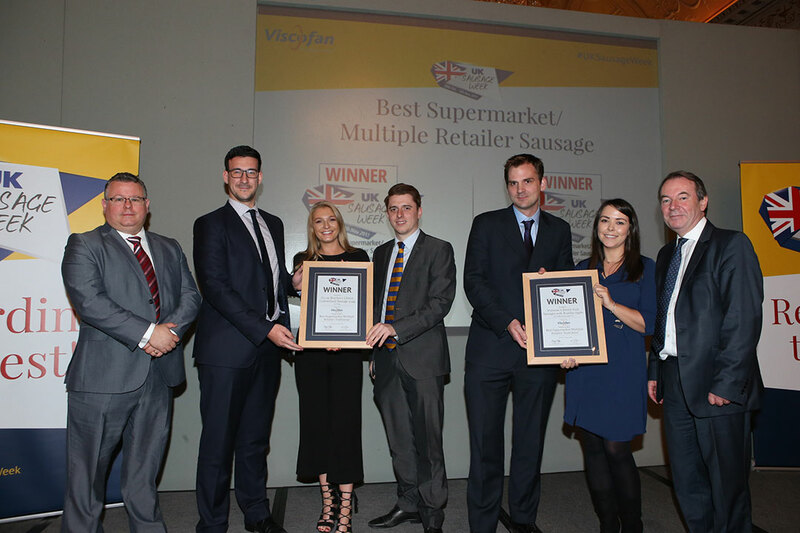 L-R: Award partner Vince Minchella of Viscofan, Traditional winners Tom Smith, Lily Millard and Joe Puddifoot, Innovative winners Matt Wrisdale and Natalie Dixon, and presenter Eric Knowles. 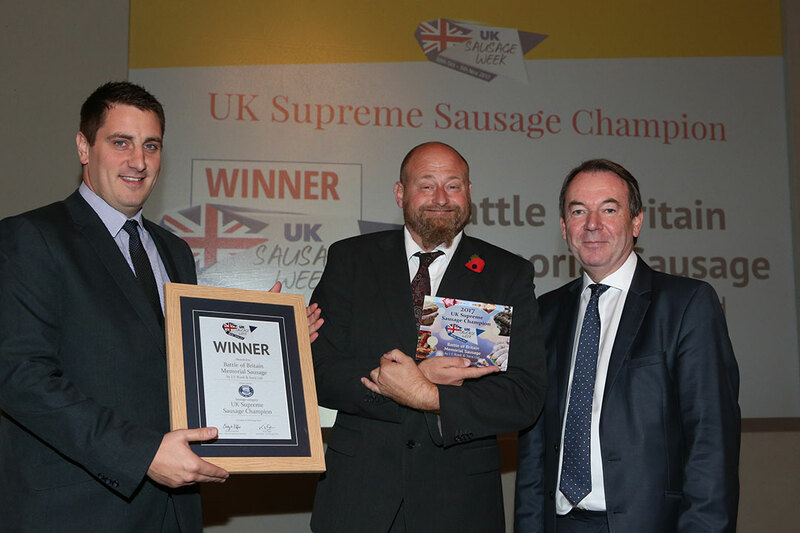 L-R: Award partner Kenny Wells of Reiser, UK Supreme Sausage Champion Andrew Rook and presenter Eric Knowles. 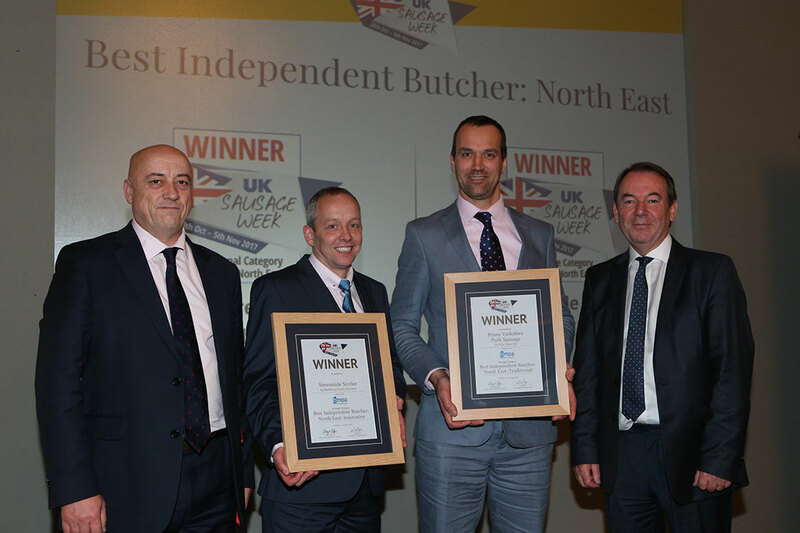 Ian Mackway, Richard Rothon of Unbar Rothon and UK Sausage Week head judge/Institute of Meat CEO Keith Fisher. 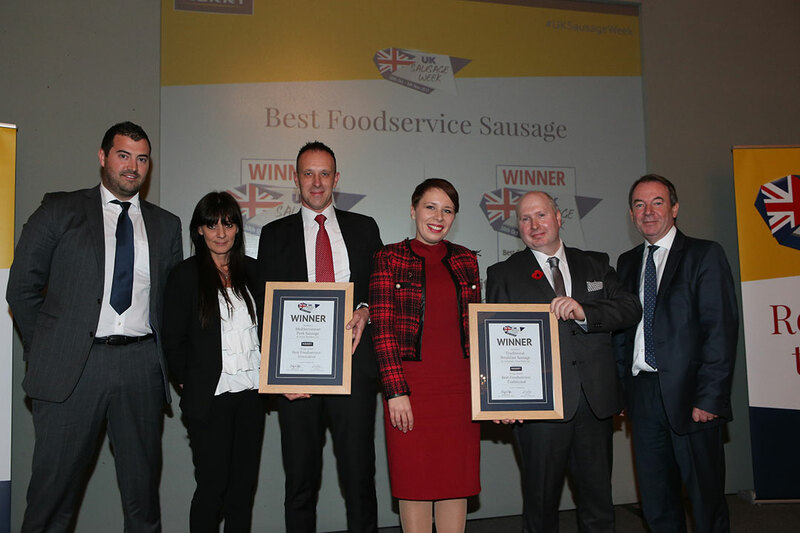 UK Sausage Week head judge Keith Fisher, Bill Jermey, Mary Fisher and Sheryl Horne of The IoM with former NFMFT president Jim Sperring. 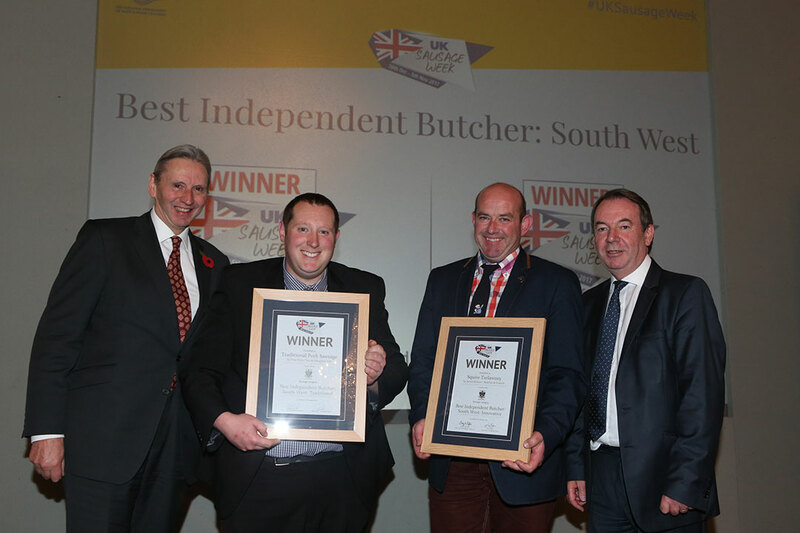 Industry consultant Andrew Garvey with butchers Charles Clewlow and Ton Cox. 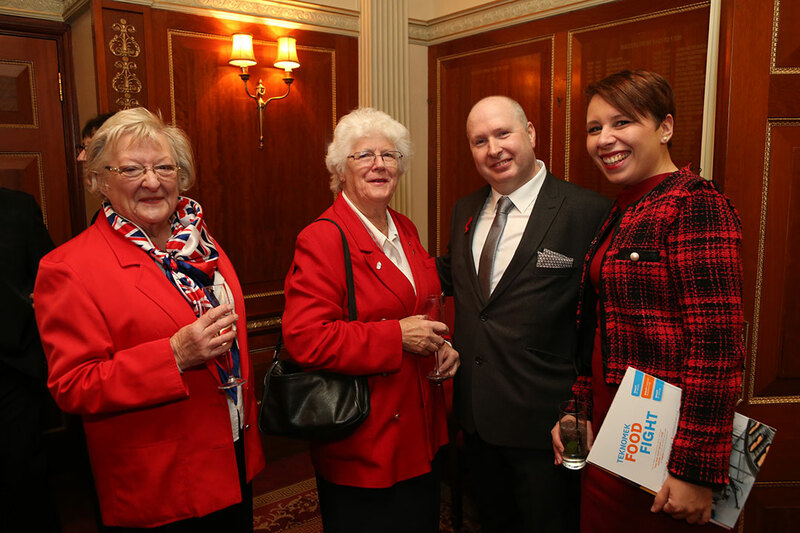 Miranda Shufflebotham and Frances Slade of Ladies In Pigs with George Randall and Kristina Jonusaite of Campbells Prime Meat Ltd.
Industry consultant Andew Garvey and NFMFT CEO Roger Kelsey. 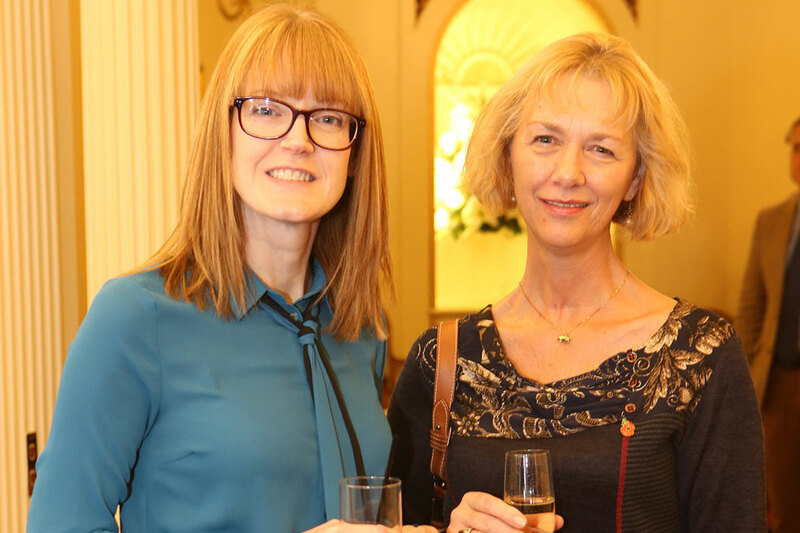 UK Sausage Week event organiser Emma Cash with Q Guild general manager Claire Holland. 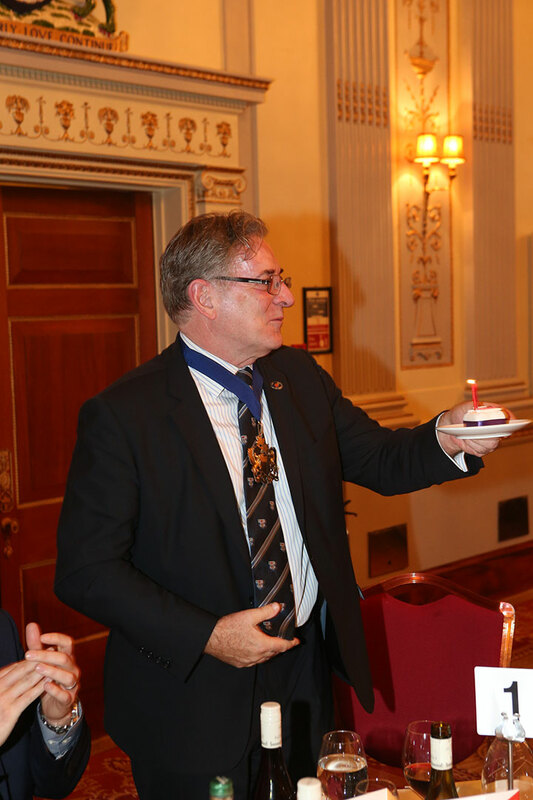 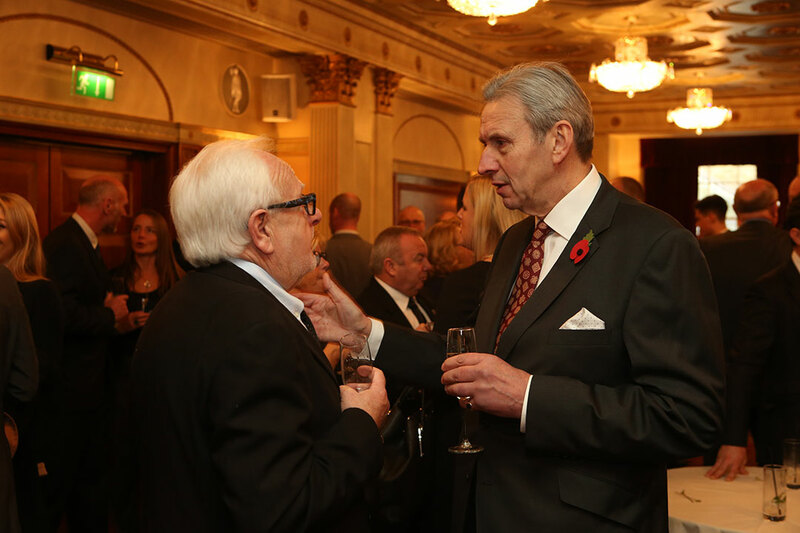 Worshipful Company of Butchers Master Geoff Gillo celebrated his birthday at the event. 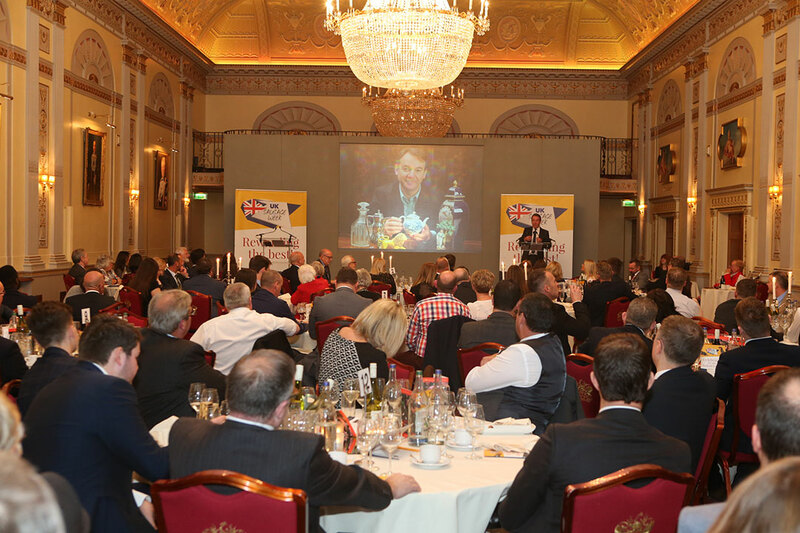 To see the full 2017 roll of honour, click here.